One of my favorite times in Sunday School growing up was "graduating" from the second grade class. At the end of the year, each student was presented with their very own Bible. I coveted this Bible and it was probably the first Bible I ever read on my own. There is something special about your first Bible as a child. Since both of my older boys are at the age where they are able to read on their own, my husband and I have given them each their own Bible. As their parents, it is a special gift and we are proud to be the ones to give them their first Bibles! Before reading age, I love to provide my children with picture books and board books with Bible stories. They are never too young to learn! 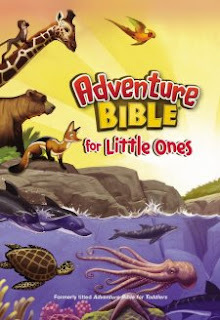 The Adventure Bible for Little Ones is the perfect board book for young ones ages 2-5. The book includes ten colorful Bible stories from both the Old and New Testament. It is a perfect introduction to classic Bible stories. It is a fairly decent sized and sturdy board book. 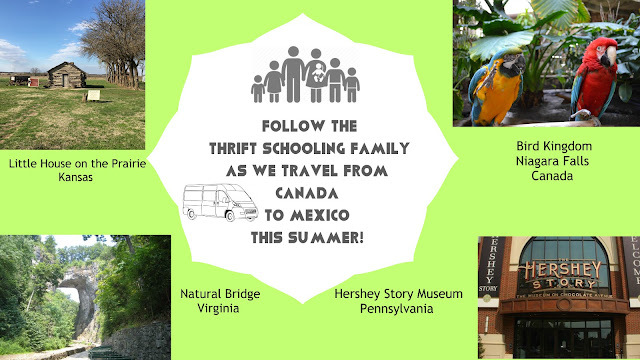 This would be the perfect gift for a niece, nephew, grandchild or birthday gift for your child's friend! Or, get it for your own child, they will thank you! Disclaimer: Thank you to the Book Look Blogging Program for providing me with a copy of this book for the purpose of this review. All opinions stated here are my own.